Foodies, farmers, and conservationists connect when it comes to supporting local farms and food. 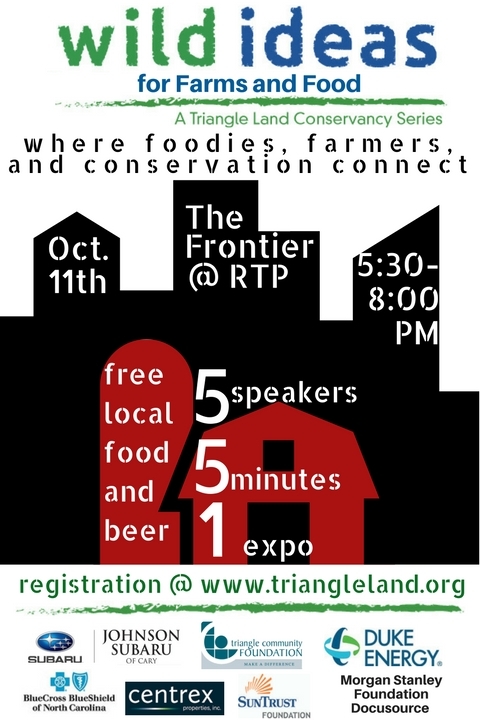 Hear from all of them as we dig into the role of conservation in the food we eat, the land we farm, and our community’s capacity to feed the Triangle from the Triangle. Fast paced-presentations, expo, free local food and beer. Come learn how we can improve lives through conservation!